The College Football Playoff released its initial rankings for the 2018 season, and UVA was ranked No. 25. It is the first time the Cavaliers have been ranked in the College Football Playoff poll dating back to its inception in 2014. This week Virginia (6-2, 4-1 ACC) is ranked No. 23 in the nation by the Associated Press and No. 22 by the USA Today Coaches poll. It is the first time the Cavaliers have been ranked in either poll since Nov. 20, 2011. That week UVA was No. 24 in the AP poll and No. 25 in the coaches poll. UVA’s ranking is the first since the College Football Playoff rankings originated in 2014. 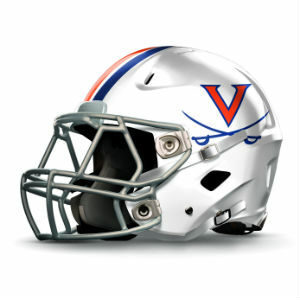 During the Bowl Championship Series era, which predated the College Football Playoff, Virginia was last ranked in that poll during the 2007 season. Finding itself ranked in every BCS poll in 2007, UVA was ranked No. 20 in the final 2007 BCS rankings on Dec. 2, 2007. The College Football Playoffs rankings are determined by a committee of 13 individuals with experience as coaches, student-athletes, college administrators and journalists, along with sitting athletics directors. The rankings are announced each Tuesday between Oct. 20 and Nov. 27 with the final rankings released on Sunday, Dec. 2. UVA returns to action on Friday night when Pitt comes to Scott Stadium for an ACC Coastal Division showdown. Kick is set for 7:30 p.m. and the game will be televised live on ESPN2.